4 pack economy crayons. Imprint area : 2" w x 3/4" h Packing / Shipping weight : 500 per case/25 lbs. Simply twist and use our new retractable twist crayons! 8 vibrant colors to choose from. Non-Toxic. 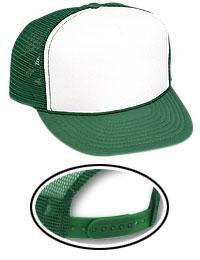 Product Dimensions: 6 3/8" Long Imprint Area: .75" X 2.5". Packaging: Bulk 300 @ 20 lbs. Minimum: 300 per color. Includes 4 Non-toxic crayons in assorted colors. Crayon colors may vary. Simple cardboard flap top box. Material: Wax, Cardboard Product Dimensions: 3 3/4"w x 1 1/2"h x 3/8"d Imprint Dimensions: 2"w x 7/8"h Packaging: Bulk pack Wt./100: 30 lbs. 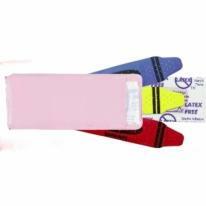 Currency box design Crayons made from soybean oil 4 crayons per box Certified non-toxic Conforms to ASTM D-4236. 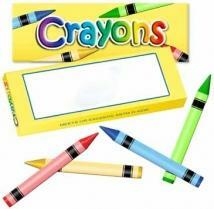 Pricing Includes: Four crayon (red, blue, yellow and green) inside the box. The box is silk-screened on one side only in one color ink. Crayons cannot be imprinted. Item Colors: Stock Designed Box, with White Background Area for Imprint Side. Box Size: 3-3/4" x 1-1/2" Imprint Area: (box only) 2-1/2" W x 7/8" H Packaging: 288 per carton. Weight: Approx 16 lbs per. 288 pcs. Includes 4 latex free plastic bandages Refillable for continued use Vinyl pouch Imprint Area� 11/4"H x 31/8"W Product Dimensions�15/8"H x 41/8"W. Packaging�Bulk packed, 5 paks attached. Shipping Weight�Approx. 7 lbs. per 500. Liqui-Mark� Crayo-Craze� six color crayon wheel offers the advantage of a box of six crayons in one easy-grip wheel! Crayo-Craze is non-toxic and perfect for creative little hands at home, at school, or on the go. Great for a restaurant promotion! The comfort grip housing holds six crayon colors. Multi-Color imprint available on two sides! This item won "Most Fun / Coolest" Category at the ASI Show in Chicago and the ASI Show in Orlando! WINNER OF THE COUNSELOR MAGAZINE PRODUCT DESIGN AWARD FOR THE WRITING INSTRUMENT CATEGORY!!! Make this item your next great promotion! Patented. Product Dimensions: 2 7/16" Long Imprint Area: 1.25" X 1.25" Packaging: Bulk 120 @ 9 lbs. 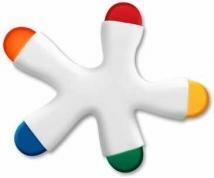 Liqui-Mark� Crayo-Star� five color star crayon offers the advantage of a box of five crayons in one fun star shape! 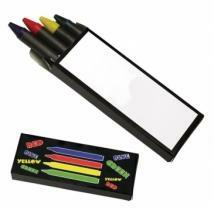 Crayo-Star� is non-toxic and perfect for creative little hands at home, at school, or on the go. Great for a restaurant promotion! The star shaped housing holds five crayon colors. Multi-Color imprint available on two sides! Make this item your next great promotion! Patent Pending. Product Dimensions: 3" Diameter Imprint Area: 1.1250" X 1.1250" Packaging: Bulk 120 @ 8 lbs. Liqui-Mark Crayo-Quad four color crayon pyramid offers the advantage of a box of crayons in one easy-grip toy! Crayo-Quad is non-toxic and perfect for creative little hands at home, at school, or on the go. Great for a restaurant promotion and can be used as a desk accessory or paper weight! The comfort grip housing holds four crayon colors. Multi-Color imprint available on four sides! Make this item your next great promotion! Patent Pending. 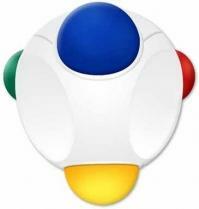 White Housing only with crayon colors: red, green, blue & yellow. Product Dimensions: 2 5/8" x 2 1/2" X 2 3/8" Imprint Area: 1.1875" X 1.1875".